The name of the directors and brief biographical details and responsibilities. Gusbourne Plc is incorporated in England (Registration Number 08225727) which is also its main country of operation. 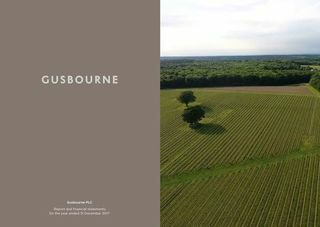 The shares of Gusbourne Plc are traded on the AIM Market operated by the London Stock Exchange. Gusbourne Plc’s securities are not admitted to trading on any other exchanges or trading platforms. Gusbourne Plc is subject to the UK City Code on Takeover and Mergers. The Board have adopted the Quoted Companies Alliance (QCA) Corporate Governance Code. Information disclosed in this website is in accordance with Rule 26 of AIM Rules (2018). Last updated 17 December 2018.